Mike: Belgians. It can be assumed that they invented Belgian chocolate, which is absolutely delicious. And the name implies that they also invented Belgian waffles, which kick Eggos to the curb. But their best creation? Belgian beer. The carbonation, the qualities of their yeast, the flavors they produce from four or five ingredients. They are killing it, and they’ve been killing it for a thousand years. But it’s only taken two decades or so for the U.S. to catch up. And since Belgium is an unfortunate $1562 plane ticket away, we Americans are unbelievably lucky to have breweries like Allagash killing it Belgian-style right in our backyard. They use their own Belgian yeast strain in their lineup, and it’s easy to spot the flavors their yeast imparts when drinking anything and everything they make. In Maine terms, Allagash really is in my backyard – about 12 miles away. And, this being Maine, you always know someone who knows someone. 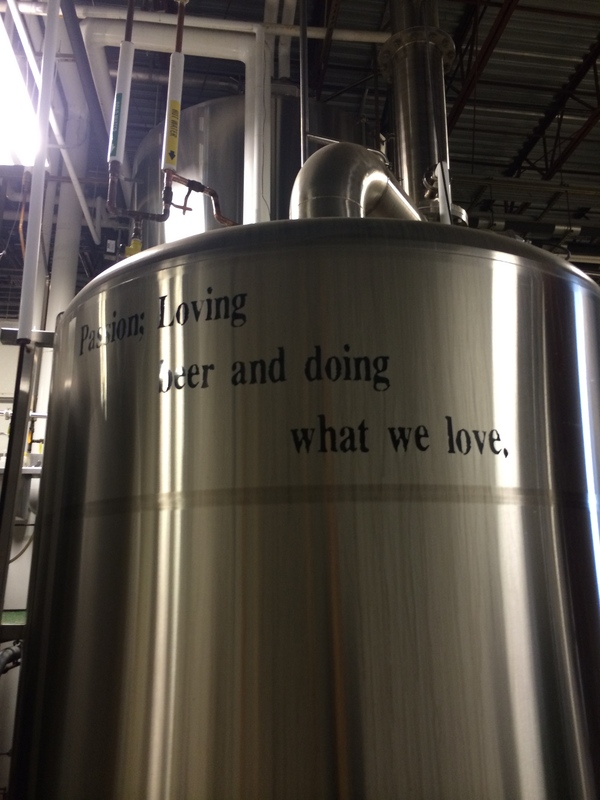 Turns out the brother of one of our close friends works at Allagash and offered to give us a private tour. We, not being idiots, accepted his offer. We arrived on Black Friday, and the tour happened to coincide with their latest bottle release, a sour beer called Midnight Brett. Our guide met us and welcomed us inside, pausing to hand us glasses full of Midnight Brett on draft to drink while we walked. Why, thank you. He showed us the sacks of grain piled high, and the mashtuns, and explained how everything worked. My buddy Galen, an avid homebrewer, spoke with our guide about mash temperatures and hopback vessels and original gravity, while I, mainly a kombucha brewer, simply tried to keep from overdosing on the heady vibes of the place. The only gross beer Allagash makes. 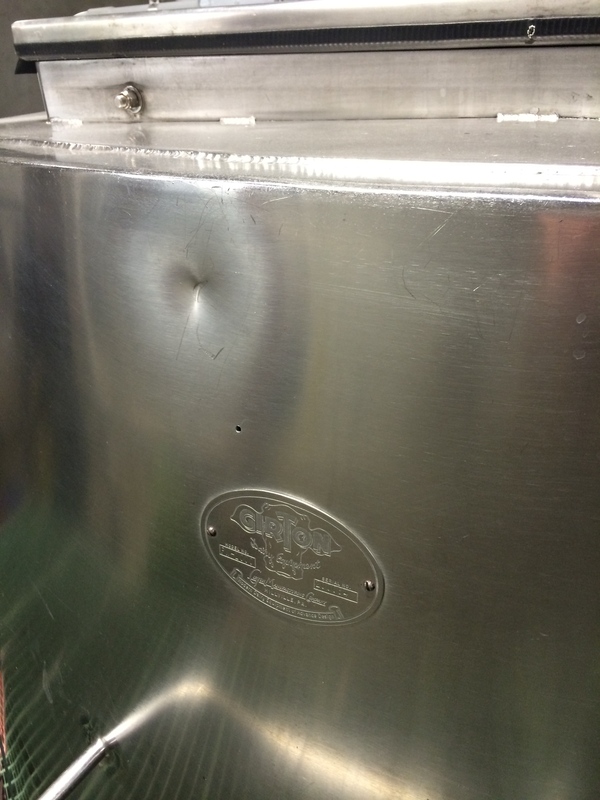 He pointed out a fermentor marked “Girton Dairy Equipment” and explained that this was their Frankenstein fermentor – bought from Ben & Jerry’s, it was welded shut and converted from an ice-cream mixer to a Belgian beer fermentor. After viewing this thing, I’ve decided that I would like to be reincarnated as a large metal vessel used to create ice cream and beer. At this point, Rob Tod came up and introduced himself. If Allagash were Van Halen, Rob Tod would be Eddie. Or Dave. Or both. Either way, it was a true pleasure to shake the man’s hand. 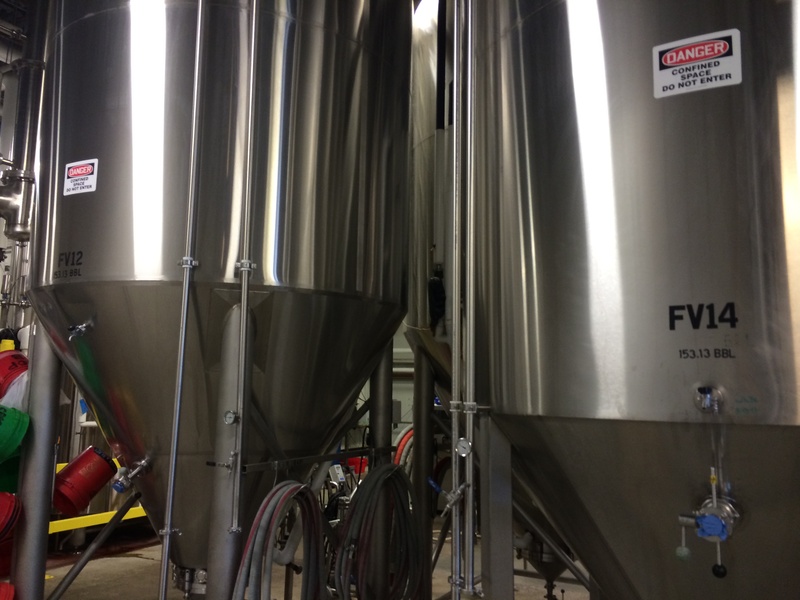 Next, we took a closer look at some of the large fermenting vessels, or FV’s. They have a lot of them – at least twenty or thirty. 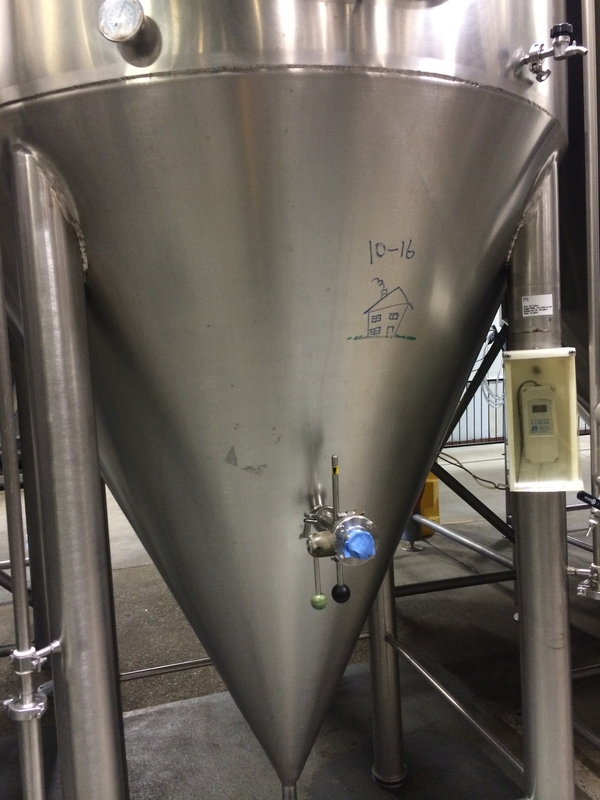 Many of these are used to house some of their popular brews, like Allagash White and Allagash Black. 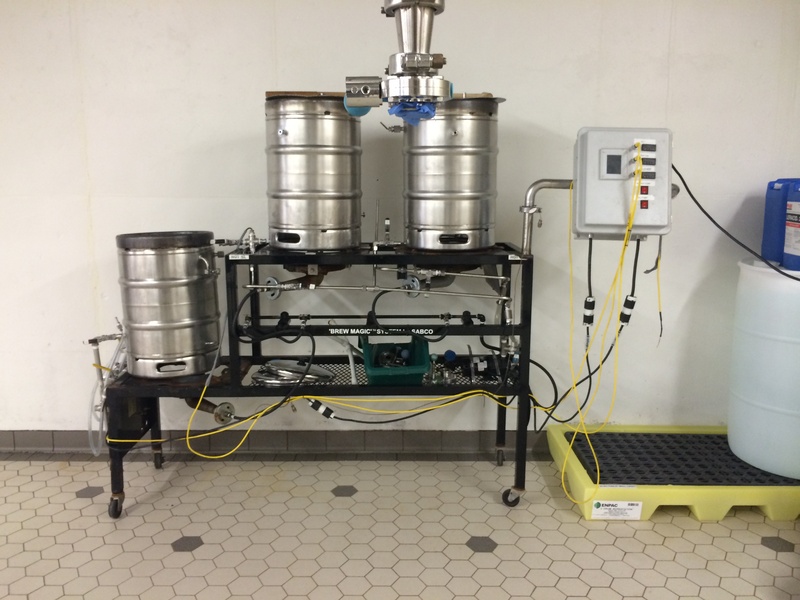 Some are used to brew their Dubble and Tripel. 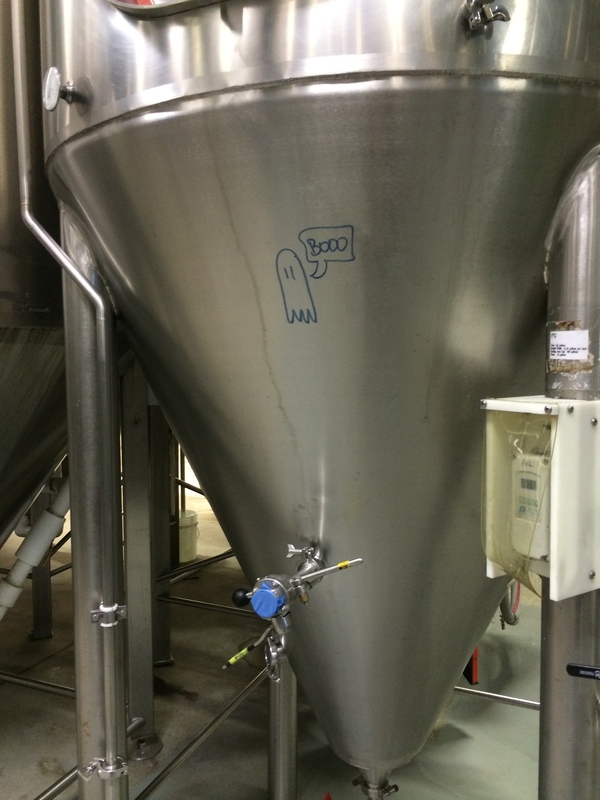 The brewers mark each FV to remind themselves what they contain. House Beer (top) and Ghoulschip (bottom). FV 13, where are youuuuu? Next up was the Curieux room. Curieux is Allagash’s Tripel aged in Jim Beam bourbon barrels for eight weeks to impart a charred, smoky, sweet glow to an already remarkable strong Belgian ale. The results are quite good. 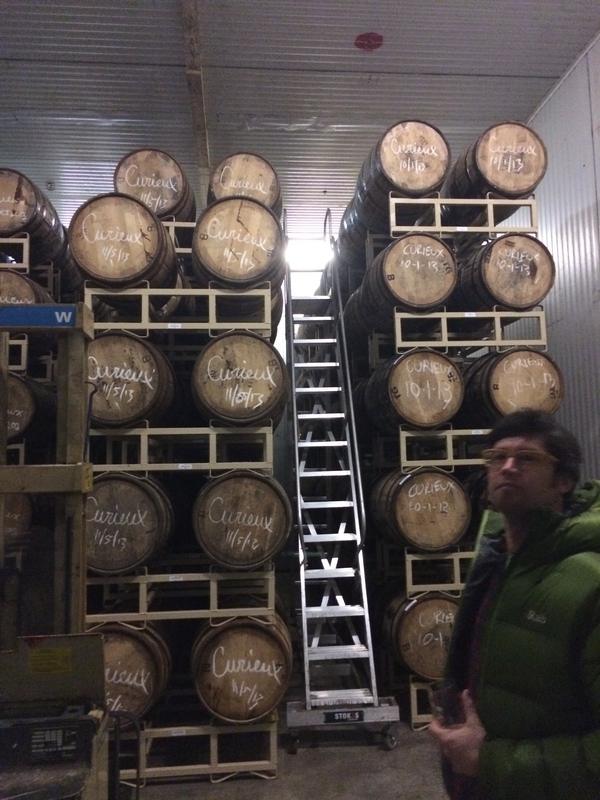 It smelled like God’s barbecue in the Curieux room. Hi God. I’ll try the brisket. 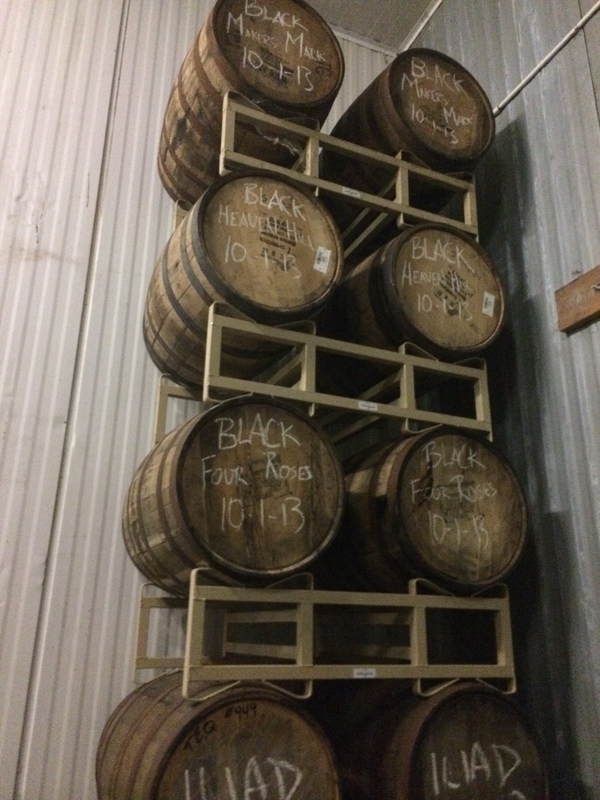 What I didn’t expect to find in there was a rack set aside specifically for their Belgian stout, Allagash Black, to age in barrels from other distilleries – Maker’s Mark, Heaven Hill, and Four Roses. There was also a rack of barrels labeled “Iliad” which previously held tequila. Who knows what they’re doing with those. And he did. And we did. 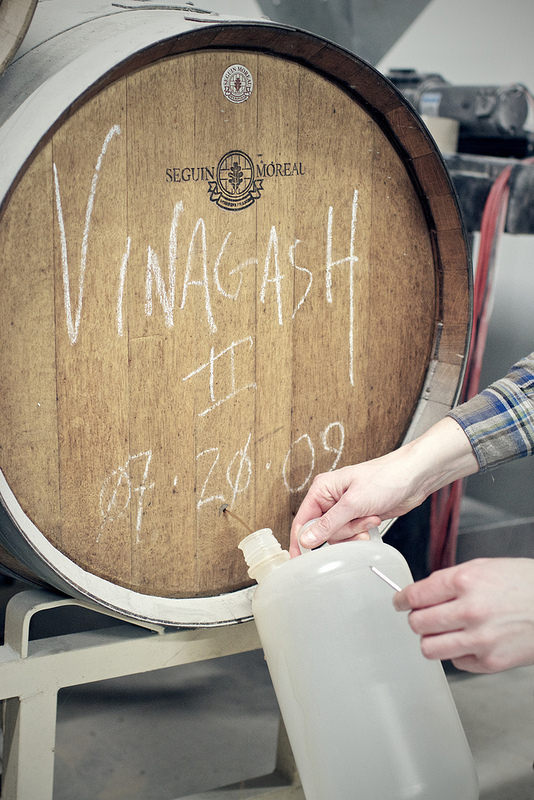 Read Part Two of our white-knuckle Allagash travelogue, in which we visit the Allagash Wild Barrel Room! March 24, 2014 in Beer, News, Travel.